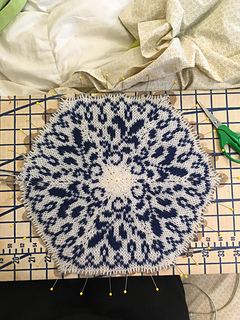 I ‘m sooo excited about this pattern. It reminds me of the beautiful Blue Willow plate I had as a child. It’s going to be an heirloom! 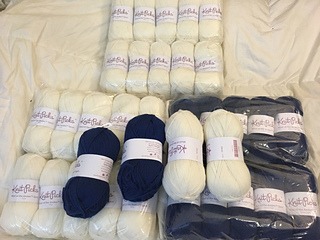 My wonderful sister sent me a Knitpicks gift card so I could buy the yarn! 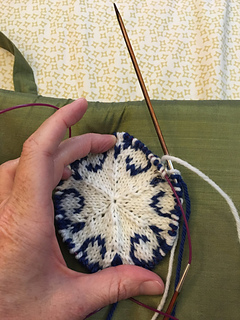 April 2 -- I just finished one motif on size 2.5 (3mm) needles, blocked and measured -- a little smaller than the schematic. So I ripped it out and will try again on size 3.